Have you ever scrolled through Pinterest looking for ideas on how to create simple lettering for your Bible journaling? Although Pinterest is a good place to search for ideas, it can be daunting if you are a beginner. Most of us were not born artists! When I was learning to write in cursive, we had to trace over the letters to learn the handwriting style being taught. I was expected to write with a fountain pen with perfect form and sizing of the letters. It wasn’t easy! Even as an adult it is difficult at best to learn a few different fonts to write out the lettering for Bible journaling. But it doesn’t have to be so complicated! Why Bother with Simple Lettering? I know at the end of the day you are exhausted from taking care of your kids or maybe some of you are caring for an aging parent. You have piles of responsibilities managing your home which includes laundry, cooking, cleaning, and driving those in your care to different appointments and activities. You might feel guilty for taking time for just you, but if you do, you will be a better wife, mom, daughter, sister, and friend. Have you ever thought of scheduling me-time? You know, that if you don’t, it won’t!! That is why I have my Quiet Time written into my routine for the day. You would be amazed at how uninterrupted (semi) alone-time can allow you to reflect and experience God’s presence as you read His Word. Have you ever copied out a verse that spoke to your heart? If so, have you noticed how God seems so close as you slow down and carefully write out each word? The Words in Scripture are God-breathed! THAT is why you should bother learning to do simple lettering. You will feel the stress of the day leaving your body as the Holy Spirit helps you to create beauty through the letters you draw. This isn’t just about being alone. It is about being with Jesus! Remember how in my school we started learning to write by tracing? That is the simplest way to begin. Tracing is a way of learning different font styles without having to start free-handed. Starting free-handed would probably not turn out as nice. This way you will have a beautiful Bible verse. Often what I do is to use two or three different font styles in my lettering. That’s why tracing will help you because it actually builds the muscles in your hand the more you write. You will improve the more you work at it. God is the ultimate creative and most of us have more ability to be creative lying dormant inside of us than we realize. So, grab a sheet of tracing paper or if you don’t have any, computer paper will do!! Trace or copy over the letters in the example above by putting your paper over the screen on your device. After you have traced the letters, fill in-between the lines as I describe below. You can put some of the letters together to make your phrase from a verse or trace the example below. Using any type of marker will work for this next activity. If you don’t have a marker, even a pen or pencil will work. The beauty of lettering is that you can begin without spending a lot of money. I like my lettering to be easily understood and read. That’s why I prefer it to be vertical rather than slanted. You can do whichever you like because the sky’s the limit. If you don’t want to learn to use a particular font style, just use your own handwriting. After all, some of the fonts that I’ve seen look like someone’s imperfect handwriting! I like to write my letters in a connective style without picking up the pen so the letters flow. I try to write at my normal speed or else my lettering turns out looking shaky. Another thing that is important in step one is to stretch out each letter and give extra room. You will see why in step two! You’ll find that lettering is a relaxing activity and if you meditate on the verse while you are writing, the meaning of God’s Word will permeate your heart. Downstrokes really are simple. Are you wondering what’s a downstroke? When your marker is moving in a downward direction as you write, it is called a downstroke. So, what you’re going to do is add an extra line on each downstroke of your letters. It gives the word more style. The more practice you give your lettering, the more comfortable you will become in writing out your Bible verse phrase this way. In order to create a thicker word, you will want to color between the wider part of the letters. This is an easy way to make any corrections if some of your lines were shaky. You can either use a letter style or use your own cursive handwriting. Just remember when you write out your words to leave extra space between each letter. That way you can thicken the lines. It’s Time to Make Your Masterpiece! 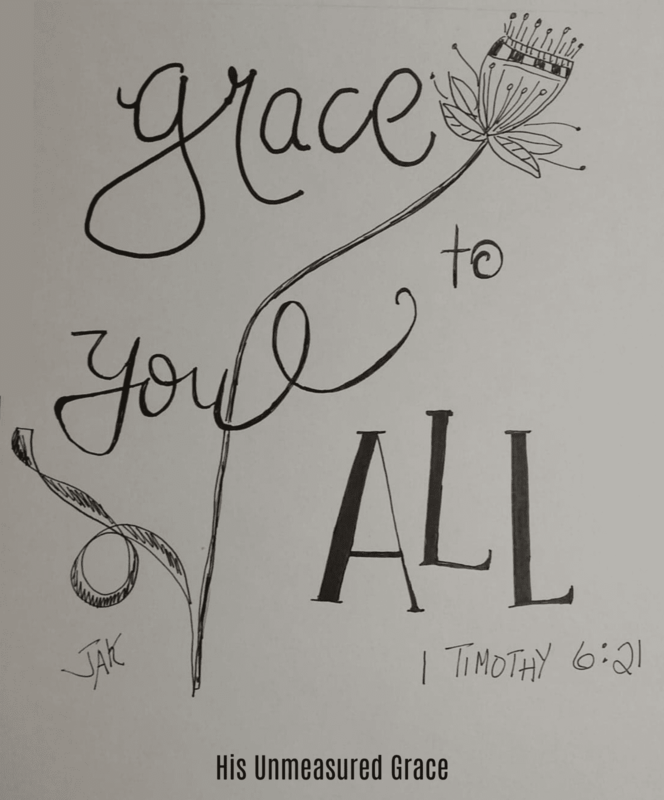 Now that you’ve practiced learning a few different styles of lettering, it’s time to write out a simple verse. We are going to begin by using just a phrase from a Bible verse. We aren’t going to letter the whole verse. The other thing we are going to do is use a pencil. You may trace the letters if you’d prefer or do them free-hand. You may just do your lettering in black or color it in if you prefer. I have seen some beautiful Bible verses done on a sheet of paper or in a notebook. 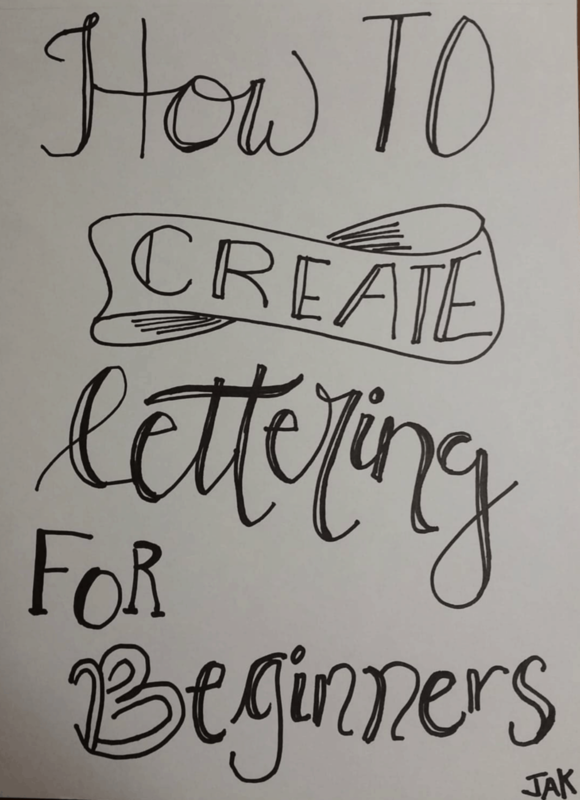 This really is a simple way to begin lettering. When you’re done with your ‘masterpiece’, I’d love to see how it turned out. Take a picture of it and submit it to Jesus Journaling on Facebook where we share our Bible journaling artwork. 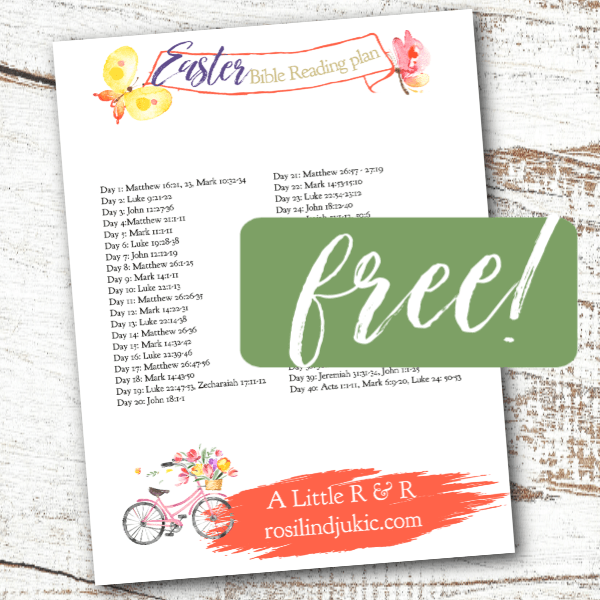 Are you new to Bible journaling or have you been doing it for a while? What is the one thing that helped you most in this workshop today?